​Accurate soil sampling is critical for making profitable crop fertilizer and nutrient decisions. Two costly and frequent mistakes are to either pay for what's not needed, or to deprive the crop of vital nutrients. As an independent service provider and not a chemical retailer or applicator, you can trust our consistent sampling procedures and unbiased recommendations. We are the ones in your field collecting the samples. We don't take shortcuts, and we won't outsource work so critical to your livelihood. 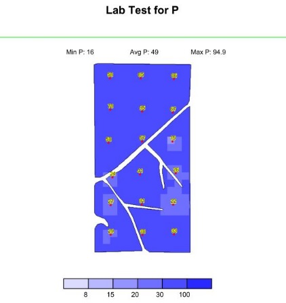 ​We drive point-to-point using GPS, pull the appropriate number of cores per sample point at the proper depth, and submit correctly labelled samples to AgSource Laboratories in Ellsworth, IA for testing. You receive a report of results and color maps, as well as all necessary prescription and controller files for VRT applications. 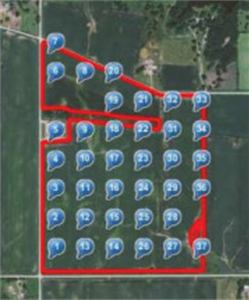 Fertilizer Recommendations are based on test results and yield goals as determined by you.